Norton Priory Museum , Runcorn, Cheshire. Commissioned by Norton Priory Museum Trust. We were asked to create a sculptural sign to alert motorists to the cycle path that crosses the entrance to the museum's car park. 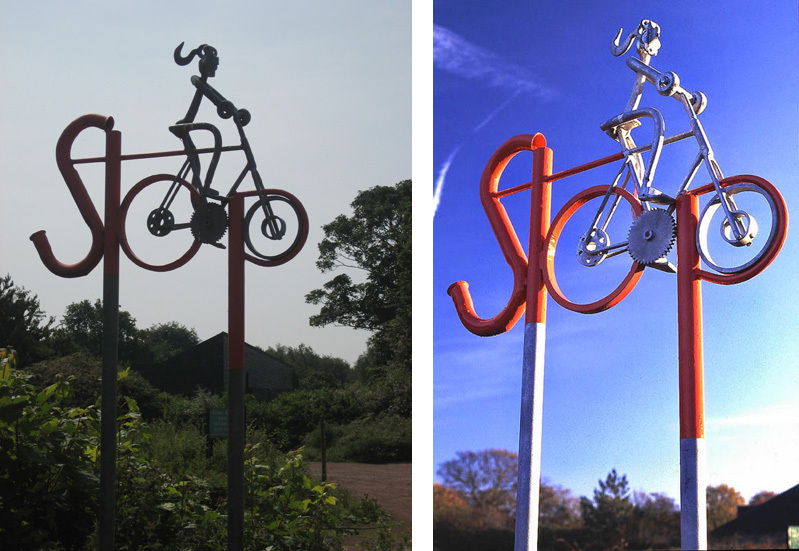 It is formed from various scrap metal parts welded together to form both the word stop and a cyclist on her bicycle. It was galvanised and the elements that created the word stop were painted bright red for emphasis.